Tampa Bay Bandits owner John Bassett was joined among the ranks of USFL owners with prior ownership of a World Football League franchise when William Tatham was awarded a USFL franchise for San Diego on May 15, 1983. Six weeks later, however, San Diego was out of the picture and replaced by the thriving metropolis of... Tulsa. 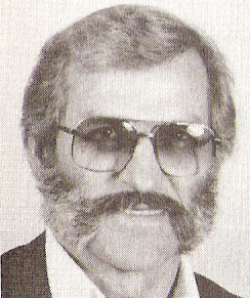 Tatham, who was involved in banking and real estate in Fresno, California, assured the USFL's expansion committee (headed up by Bassett) that unlike the league's prior effort to place a team in San Diego, their effort would be successful and that the USFL would have a greater presence in Southern California. As had been the case for Alan Harmon and Bill Daniels a year before however, the City of San Diego rejected Tatham's request to put the USFL at Jack Murphy Stadium - once again leaving a USFL owner in search of a new home for his franchise. The Tathams had roots in Oklahoma, but sentimentality proved a bad reason for placing a USFL franchise in Tulsa. Day to day operations of the team, which was christened the Oklahoma Outlaws, were left in the hands of William Tatham, Jr., at the time a 29-year old attorney fairly fresh out of law school. The team made an initial splash by inking Tampa Bay Buccaneers starting quarterback Doug Williams from the NFL team, but frustrated with awful weather and resulting thin crowds early in the season despite a competitive teamm on the field, Tatham Jr. announced that the team would be looking to move after their inaugural 1984 season: to another Oklahoma location if possible, but otherwise to Honolulu, back to San Diego, or who knows where. A season-ending tailspin only increased frustration around the franchise, and it became obvious to all league observers that a return to Tulsa was not in the cards. After the 1984 season the Tathams were good on their word, closing the doors in Oklahoma and heading west to Phoenix, the result of a "merger" with the Arizona Wranglers. 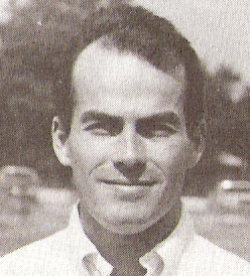 Originally the Outlaws had negotiated with Tad Taube about the prospect of merging the Outlaws with the Oakland Invaders, but Taube walked away from the talks, reportedly in part because of Tatham Jr. Instead the Tathams cast their lot in Phoenix where Dr. Ted Diethrich had grown tired of losing money despite fielding one of the USFL's best squads. In Arizona, the Outlaws struggled to find their way on the field and fared no better than the Wranglers had before them off the field, and while they planned to continue on when the USFL moved to the fall in 1986, the result of USFL v. NFL killed the team and the league along with it.